‘ALL THIS TIME’ CD Re-Release Party TBA!! Check back for Details!! Words Are in the Way is a Semi-Finalist in the 2013 International Songwriting Competition!!! Carla’s show at Vivo on Sept. 21 will be part of ‘Playing for Change Day’!! Click here for details on the live event, to buy a ticket for Stageit’s live stream of the show or to donate to Playing for Change Foundation!! Carla’s journal interview with iMoveiLive.com is now out on YouTube! 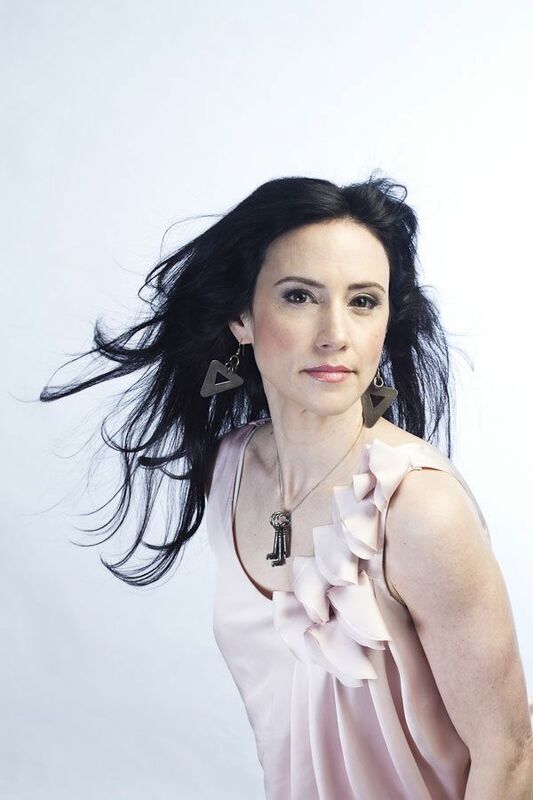 Indie Singer/Songwriter Carla Bianco is creating quite the buzz in the Indie Music Scene with her dynamic music that is proven that the Adult Contemporary genre is the perfect venue for this talented performer. Bianco’s music is a true representation of how talented she is as a polished musician. Plus, her songwriting skills are top notch full of colorful and heartfelt lyrics. In this spotlight with our publication, the Indie Singer/Songwriter speaks openly about being an indie performer. Isaac: Music is so important to many cultures. Why is music important to you? Carla: it is vital to my existence. It’s one of the ways I pray, commune with something greater, it’s my vehicle for self-discovery and connecting with other human beings. It’s my inspiration and the way I hope to inspire. It’s my savior, my hope and my love. Isaac: What do you believe is the one element that makes your music, lyrics, and voice stand apart from others in the Indie Music Industry? Isaac: If you have to name a few of your musical influences, who would they be and why? Carla: Elton John, Karen Carpenter, Chaka Khan, Stevie Wonder, Earth Wind and Fire, Joni Mitchell, and Madonna. Isaac: What makes being an Indie Performer great in your opinion? Carla: You’re doing it your way. No middle man with their opinions of how your music should be. It comes straight from the heart and goes straight to the audience. It doesn’t get better than that. Isaac: What do you believe will it take for indie performers to gain the recognition as their mainstream counterparts? Carla: A vocal and passionate audience who knows and understands they hold a big responsibility in their hands. If they are moved by an artist and they express that passion, they have the power to break an artist. It’s kinda cool though. It’s a real one on one relationship. The artist gives what’s in their heart and the audience receives and shares how it moves their hearts. Isaac: Why do you believe that mainstream radios are so reluctant to play indie music? Carla: Because they are exactly that- mainstream. It would take a team of stations to jump together and take a chance on an indie artist so they are creating their own idea of what’s mainstream or just a really really bold and influential DJ to take a leap. Isaac: What do you believe is the main reason why your music is creating a buzz in the Indie Music Scene? Carla: It’s good music. I think the world is really ready for good music again. Real songs like the old school songwriters like Carol King, James Taylor, Carly Simon and the Motown writers like Smokey Robinson; writers that wrote from their heart but had a love and respect for the craft of songwriting. Isaac: If you had an opportunity to work with anyone in the music business, who would it be and why? Carla: Probably Prince. He has got to be the most talented recording artist. I would love to learn from his process. Isaac: How would you describe your music to others who are not familiar with your band? Carla: It’s singer/songwriter piano-based music in the vein of Sara Bareilles or Sarah McLaughlan. Isaac: What are you currently working on at the moment with respect to your music? Carla: Writing, writing, writing new songs for the next record. Isaac: How can fans learn more about you and your music online? Carla: Follow the little voice in your heart. Take time to hear it. And do what it says. No matter what! It is you at your truest. It speaks words of wisdom. It speaks your destiny. Have courage. Believe. Take action. And never let up. Ever!